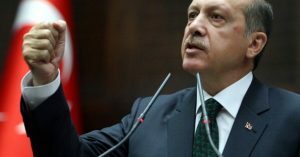 His remarks came as members of the European Parliament (EP) prepare to vote on halting membership talks with Turkey to the EU. Gianni Pitella, leader of the Progressive Alliance of the Socialists and Democrats party, claimed that among the reasons to have prompted the call for the suspension of the talks is due to the “severe steps” that Ankara has undertaken in the aftermath of the failed 15 July coup d’état and authorities keep “neglecting and undermining democracy and rule of law” in the process. The vote will take place at a plenary session but it is not binding. Turkey has often accused EU of supporting terrorist organizations that pose a threat to its security. It had ignored calls from the EU member states to ease its clampdown on alleged suspects that is still ongoing and has affected all public sectors and some private enterprises. Relations between the EU and Turkey have been rough over the past years and President Erdogan has often threatened that he would open the doors for the Syrian refugees to Europe. Written by: Jaber Ali on November 23, 2016. Posted by Jaber Ali on Nov 23 2016. Filed under Headlines, World News. You can follow any responses to this entry through the RSS 2.0. Both comments and pings are currently closed.